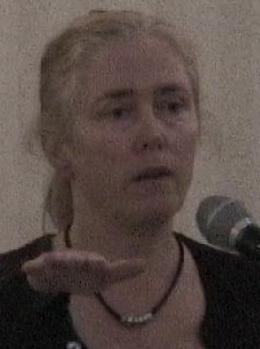 Jennifer Van Bergen was one of the first voices to raise the alarm against the PATRIOT Act with her six-part series "Repeal the Patriot Act." An adjunct faculty member of the New School for Social Research in NYC since 1993, where she recently taught their first course for undergraduates on the Antiterrorism Laws and the Constitution. Is the State of Emergency Superseding our Constitution? Address to the Commonwealth Club, San Francisco, November 23, 2010. In July 1987, during the Iran-Contra Hearings grilling of Oliver North, the American public got a glimpse of “highly sensitive” emergency planning North had been involved in. Exile Nation: "A Sheep in Wolf's Clothing"
Who's Inside Midwest Mystery Prisons? May police now arrest people for refusing to identify themselves? Is the State of Emergency Superseding our Constitution? Address to the Commonwealth Club, San Francisco, November 23, 2010. ... story February 16 by lawyer and legal analyst, academic, author and journalist Jennifer Van Bergen in an online article in The Raw Story.